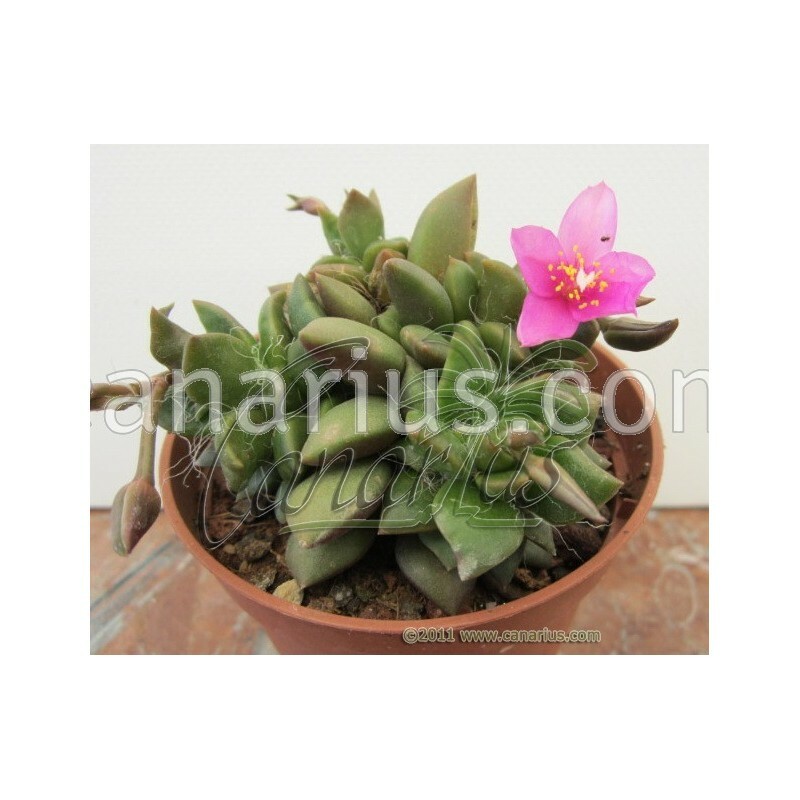 Anacampseros rufescens, native to South Africa, forms small spiralling rosettes with succulent green pointed leaves that turn purple in bright light. Flowers are pink to 3/4" and resemble flattened Portulaca flowers. Clusters freely to form mats. Requires porous soil with adequate drainage. Bright light and ample airflow. Water thoroughly when soil is dry to the touch. Protect from frost. 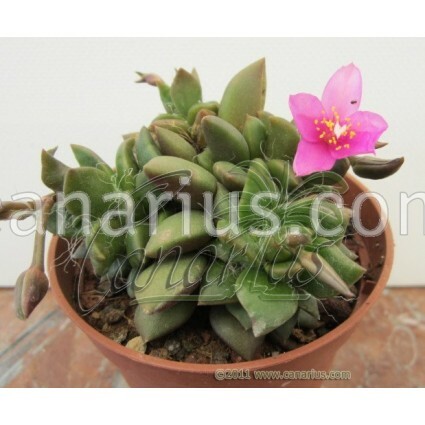 The genus Anacampseros belongs to the family of the Portulacaceae (Purslane Family).